The Dr Steam Family welcomes you. Our goal, to provide your family with a deep steam cleaning that will leave your home feeling fresh and clean. We vacuum the carpet as necessary, then follow by using a pre-spray and carpet brush to agitate and loosen the dirt. 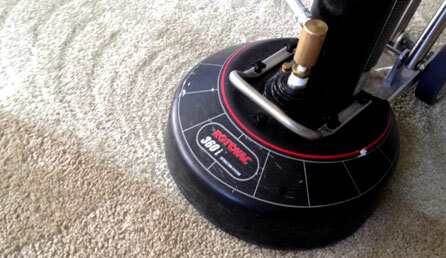 We use the Rotovac 360i to agitate and remove dirt that is deep in the carpet fibers. The rotating head forces hot water into the carpet fibers and the three extraction ports remove the dirt and excess moisture. This process is more effective than a typical wand extraction. Our machines use twin vac motors which extract the water leaving the carpet only damp to touch. Upholstery can require a number of different cleaning methods depending on the material, color and staining of the fabric. We always assess the material before cleaning in order to select and utilize the most appropriate chemicals. A pre-spray is applied and agitated deep into the fabric using an upholstery brush before again using the hot water extraction machine to clean the upholstery. This service is popular in the home, for vehicle upholstery, in public seating areas of hotels and restaurants and hotel bedrooms.